This emerging need represents a huge opportunity for hotels. By creating in-depth destination guides, or by hosting their own locally-led tours, hotels can make their properties more desirable to drive more direct bookings. The following post highlights five hotels that are promoting their destinations with engaging neighborhood guides and authentic local experiences. But before diving into these examples, it’s worthwhile to briefly reflect on why creating local content is so valuable in the first place. In the battle for direct bookings, OTAs have been able to invest millions into designing the optimal user experience. But where they fall short is the ability to provide truly great destination-based content. While the likes of Expedia and TripAdvisor offer a wealth of bookable tours and destination guides, these choices are often dominated by the famous tourist sights and attractions in major global cities. In reality, what a lot travelers really want are the insider tips and unique tours that aren’t so easy to find. They want to know about the hip neighborhood cafes, the latest pop-up food festivals, the secret film screenings, and the intimate sightseeing tours that let them escape the crowds. Not only can hotels offer this more authentic guide to their destination, they can also provide the kind of locally-led tours that travelers crave. With that in mind, here are five hotels doing a great job showcasing local tours, trips and activities. This boutique lifestyle chain really goes the extra mile to help guests connect with the destination. At its London-based Leman Locke property, locally led experiences include a Wednesday 5K running club that involves a scenic jog through the city led by the hotel’s running coach. In addition, guests can join a Saturday morning yoga club hosted by local yoga coaches Sabi and Danielle, and an atmospheric dawn tour of East London with London-based photographer Anthony Epes. A video and interview with Anthony on a separate page of the website provides additional information and an engaging way to sell the experience. The Edinburgh-based Eden Locke property offers an even more diverse range of classes, including a cocktail masterclass, DJ training, mindfulness / meditation, acoustic sessions, and cooking courses. For would-be guests, knowing that they can learn new skills, get creative, meet locals, and receive an insider’s perspective on the neighborhood all add up to a compelling reason to book. Peninsula New York is a perfect example of how chain hotels are also adapting their approach to provide local experiences. The impressive Peninsula Academy offers an array of exclusive masterclasses and activities in the chain’s global destinations. Guests can choose from a selection of bespoke programmes, including an eat like a local food tour in Tokyo, a behind-the-scenes tour of Versailles near Paris, and a bespoke tea ceremony from a tea master in Beijing. These activities and tours are clearly aimed at affluent travelers, and demonstrate a response to the rising expectations of luxury travelers seeking one-of-a-kind experiences. This rapidly expanding boutique chain describes its hotels as being “inspired by the streets and scenes that surround them”. 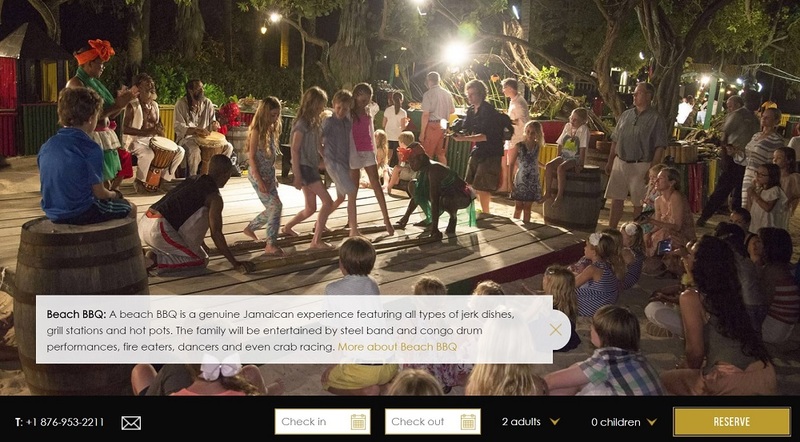 This brand proposition is promoted throughout the website, including a video background on the homepage that reflects the hotel’s friendly, neighborhood vibe. When it comes to discovering places of interest, a simple drop-down menu lets you discover local highlights in the chain’s four European destinations. After selecting your destination hotel, you can search for recommended sights in the surrounding area based on whether you’re ‘thirsty,’ ‘hungry,’ ‘a culture vulture,’ ‘a night owl,’ or a ‘fashionista.’ It’s a nice touch that makes searching easy based on your interests. A separate page then lists various attractions with a brief description of each and an accompanying area map. 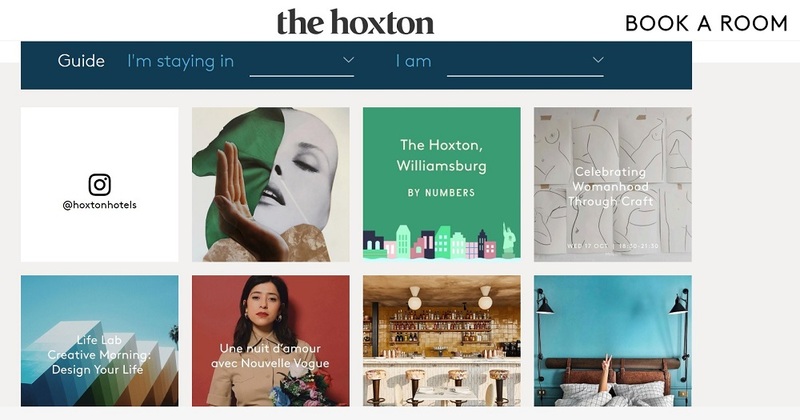 The Hoxton also invites industry experts to host some pretty unique events. Recent examples include a tattoo session from a NYC hand-poke artist, and a workshop dedicated to the art of motorbike customization. Travelers can also book events on the hotel website and add events to their calendars. This removes potential barriers (i.e. calling the hotel to book) and thus increases the odds of converting interested guests. At The Lanesborough London, guests can find inspiration and get an instant feel for the destination thanks to the hotel’s “3 Perfect Days” guide. This detailed resource lists a host of recommended sights, restaurants, cafes, and entertainment options in various London neighborhoods—from hipster cafes and late-night jazz bars, to historic sights and must-visit local markets. The style riffs off the classic travel guidebook itinerary, offering a day-by-day format with a flavor of local neighborhoods. For the would-be booker, it acts as a helpful reference point to plan a trip, and positions the hotel as a knowledgeable local expert. In addition, the website promotes new events in a continually updated ‘What’s On in London?’ guide, and a dedicated concierge service to offer personalized assistance to guests after advice on the best places to visit. The likes of JFK and members of the British Royal Family have all stayed at this luxury resort in Jamaica, which is clearly aimed at well-heeled vacationers. However, the focus is very much on selling the destination and local experiences. Each day is split into various activities that include a series of local activities, from a horse riding session at the hotel’s equestrian center, to a parasailing tour around the surrounding bay. What really stands out is the way that this hotel showcases its trips and activities in a smart, visually engaging theme. Large images, descriptive copy, and links to each activity feel inspiring and make booking easy. Half Moon also runs two signature tours, including a day in the Blue Mountains to see the island’s famous coffee plantations, and a journey through local hillside villages to visit an organic farm. All told, guests have plenty of ways to get an authentic feel for local island life. The typical traveler often spends months researching their trips. They increasingly want to seek out unique experiences, and appreciate being helped to find, plan, and book those extra special activities that elevate their whole vacation. That’s why there’s enormous value in turning your hotel website into an indispensable guide to your neighborhood. If you provide your audience with insider tips and recommendations, or host your own locally led tours, you’ll create a compelling reason for them to visit your website instead of an OTA. Remember, your hotel can provide a level of in-depth local knowledge that OTAs simply can’t replicate. Use that to your advantage and you’ll rise above the competition and inspire more of your customers to book your hotel directly.